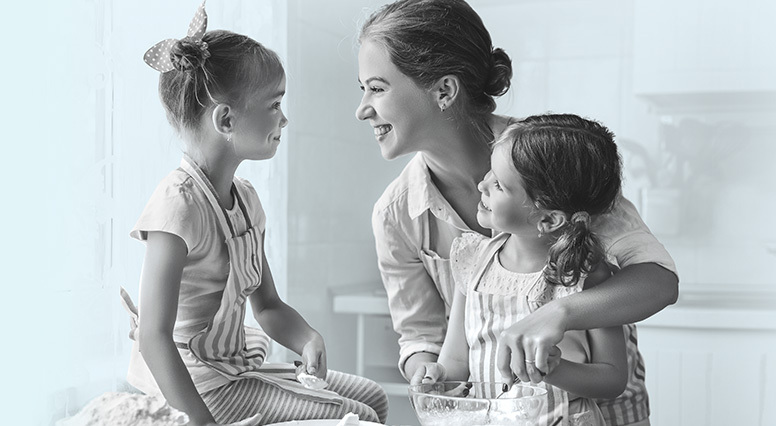 Work-life balance has become more challenging as the world moves ever faster, but it is possible to maintain that balance between your family life and your job. When you’re trying to maintain a healthy life balance, it’s important to remember to choose your battles. Later in life, the memories you’ll cherish will be of the quality time you spent with your family, not how clean your house was. Here are some tips to help make it easier for you to juggle traffic, daycare, a runny nose, grocery shopping and that basket of laundry you have to fold. Get a giant calendar where everyone can write in their activities, important tests, meetings, birthdays, etc. Digital apps can take over for the calendar when kids are older and able to use technology. Go on individual outings with each of your kids so they can have some quality alone time with Mom or Dad (go grocery shopping, going for a walk, etc.). Prioritize family activities over individual sports, like tennis, biking, swimming, going to the library, tobogganing, cooking as a family, board games. Your kids will remember these quality family moments. Get grandparents, big brothers or big sisters involved to help pick up the little ones. For the little ones, get clothes ready the night before, and for bigger kids (older than 6), ask them to get their clothes ready for the next day (and don’t worry if their clothes aren’t exactly coordinated). Giving kids baths can take a long time. Have your kids take a shower, wearing swimming goggles! It’s fun and fast. Get breakfast ready the night before (set the table to make things faster in the morning). Prepare lunches the night before using your leftovers from dinner – get your kids to help with making lunches as soon as they’re in first grade. The result? More family time, and you encourage independence in your kids. Double your recipes and freeze the leftovers for quick, easy dinners and fast lunches. Cook as a group to share the portions, the cost and the fun. Why not get together with another family to make a big batch of spaghetti sauce? Get your kids to help out with dinner: the kids set the table, someone helps to prepare the veggies, everyone puts their own plate in the dishwasher, etc. Cook two or three meals on Saturday or Sunday to prepare for dinners and lunches in the week ahead. Meet your new best friend: the slow cooker. 15 minutes to a warm and delicious meal. Have your kids help with the laundry: even kids as young as first grade can have their own basket for dirty laundry in their bedroom, fold their clothes and put them away (hard to believe but it’s true!). Think about reducing expensive outings so you can pay for a house cleaning service. Keep certain communal areas of the house free from toys and personal things. Create a chore board or wheel where everyone takes a turn with various chores: vacuuming, cleaning the bathroom counter, etc. Give positive reinforcement when everyone in the house does their part. Get ahead by starting on homework on the weekend. Have your kids recite vocabulary words while you’re making dinner. Ask your kids to help each other with their homework. Hire an older student to tutor your kids with their homework (once a week or more). Be active on your lunch hour: it’s a solution that has no impact on your family’s routine and is healthy for the body and mind. Even taking a walk counts - don’t underestimate the good walking can do for your physical and mental health. We can’t say it enough: set aside time for yourself. At the end of the week, have your kids eat dinner earlier and, once the tornado passes, have a romantic dinner with your partner. Maximize your commute time by answering your emails, working on your French, or getting some reading done (for public transit users), or by returning calls (handsfree, if you’re driving). If permitted by your employer, work from home one day a week. Practice the art of letting go and accepting imperfection. Accept help or know how to ask for it before you get burnt out. Take advantage of support networks – there are so many active ones you can find online (babysitting, used clothing, community kitchens, small household chores, carpooling, etc.). Hang in there! In a few years, when your house is quiet, you’ll look back on this time with a nostalgic smile.